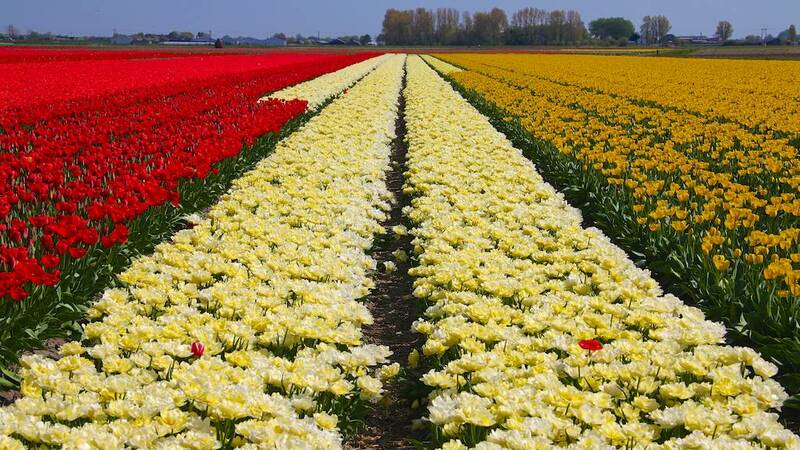 Tulip fields near Keukenhof with red, white and yellow flowers. These tulips are grown to harvest the bulbs so visitors can enjoy the flower display for free. Tulips for display are cut long before the colorful flowers open.